A Montgomery native who attended the University of Alabama, where he received his undergraduate degree in 1986 and his Juris Doctor degree in 1989. 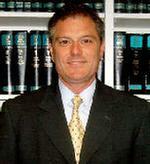 He is a member of the Alabama State Bar and is admitted to practice before all Federal Courts in the State of Alabama. He is a member of the Montgomery County and American Bar Associations; American Inss of Court; and the National Association of Subrogation Professionals. Mr Azar's practice areas include Creditor Rights & Collections, Commercial Litigation, Subrogation, Civil Litigation, and Landlord Tenant. Mr. Azar is a Montgomery native. He attended the University of Alabama, Auburn University and Spring Hill College, and received his J. D. from the University of Alabama School of Law in 1956. He was admitted to the Alabama Bar Association in 1956 and the U. S. Supreme Court in 1972. He served as law clerk to Judge Frank M. Johnson, Jr., U. S. District Judge for the Middle District of Alabama in Montgomery for a year from 1957-1958. Published articles include "Ethics Committee - Dangers and Problems" (Alabama Life Insurance News, March 1972). He has lectured on Federal Practice and Procedure with the Alabama Continuing Legal Education Program (1970-1982) and with Cumberland Law School Continuing Legal Education (1989-). 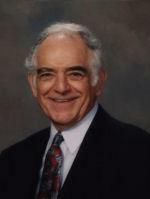 Mr. Azar specializes in Personal Injury, Fraud, Commercial and Insurance Litigation, Wrongful Death and Product Liability. He is a member of the Montgomery County Bar Association (Chairman, Board of Directors 1973; President 1975), Alabama State Bar, the Association of Trial Lawyers of America, Montgomery Trial Lawyers Association (President 1985) and the Alabama Trial Lawyers Association. Form member of the Alabama Alcoholic Beverage Control Board. Alabama Farm Bureau Mut. Ins. Co. v. Davis, 354 So.2d 15 (Ala. Civ. App. 1978) (determination by court of insurable interest in automobile-incorrect declaration concerning location of vehicle not fraud).